Maurizio Sarri expects Chelsea to keep Eden Hazard and Willian despite the transfer window remaining open in continental Europe. Hazard has been linked with Real Madrid and Willian with Barcelona this summer. Goalkeeper Thibaut Courtois left Chelsea for Real Madrid this week, urging his Belgium team-mate Hazard to join him in future. “Hazard is with us,” Sarri said. Hazard’s contract runs until June 2020 and he has been mulling over the offer of an extension for some time. Sarri believes Hazard will commit to the club. 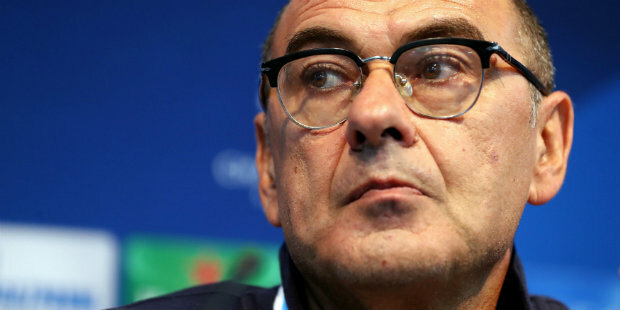 Sarri added: “I don’t want to discuss about contracts. It’s not my job. My job is on the pitch. My job is to improve the players. My job is to try to win matches. Sarri suggested there will be departures before the end of the month, with the likes of Belgium striker Michy Batshuayi and France midfielder Tiemoue Bakayoko linked with loan moves. Be the first to comment on "Sarri: Chelsea duo staying but others could go"